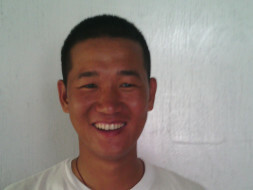 Tapak is a dynamic youth from Upper Subansiri District in Arunachal Pradesh. It takes 3 days to reach his village in Taliha block, if you start on road from Guwahati. He was elected as a Panchayat Leader by his people about 8 years ago. And he transformed the village. His village is Open Defecation Free, has access to Clean Drinking Water, Has electricity and will soon get motorable road. Now he is a block level leader and wants to make larger impact. We are sending him and another person from Rai village, Siyum Block, Upper Subansiri District to participate in Yuva Prerna Yatra, an entrepreneurship journey in Himalayas where he would learn about ways of making life better in mountain areas, e.g. settled agricilture at steep slopes, cultivation of medicinal plants, water conservation etc. He would be meeting a number of entreprenuers and similar minded people. We expect it to be a transforming journey for Tapak. Ans: This is donation. The amount will not be returned. The Yuva Prerna Yatra was held on 1st April'15. The event was a huge success and we are happy that Tapak could be a part of it because of your support. The experience was enlightening and got to learn a lot from it. Tapak spoke about the herbal products found in Arunachal and how it could be made available to the everyone. He also met entrepreneurs from Uttarakhand. The entire event made him grow as a person. Currently, Tapak has joined the BJP farmer's cell in ArunanchalPradesh. Thank you for coming forward to help him. Thanks a lot Kriti, Joyjit, Harshal, Rolly and Smita for the help. Will share updates about Tapak.